Budapest is more than thermal baths an goulash and you definitely need more than 1 day in Budapest. But I get it, we’re in a hurry sometimes – so here’s an itinerary you can do in 1 day. This article contains affiliate links. I may earn a small commission to fund my coffee drinking and travel habits if you use these links to make a purchase. You will not be charged extra, you’ll keep me supplied in caffeine and travel and I’ll supply you with new travel content. It’s a win for everyone, really. 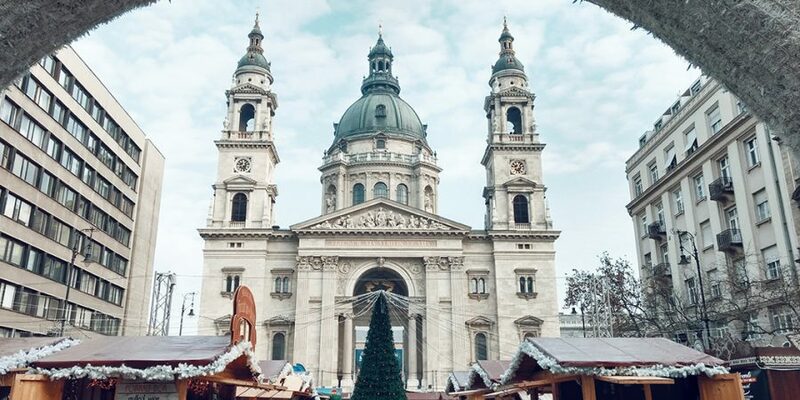 You can travel to Budapest any time of the year. There’s much to see and you can see most of it all year round. Winter can be cold and summers are very hot. The best time to go sightseeing in Budapest is during springtime and fall – the climate is nice and the city isn’t as crowded as during summer. If you choose your accomodation wisely, you can achieve a lot during one day in Budapest. Many sights are within walking distance if you decide to stay in a fairly central hotel, and close to the river Donau. Check out Budapest Marriott Hotel. 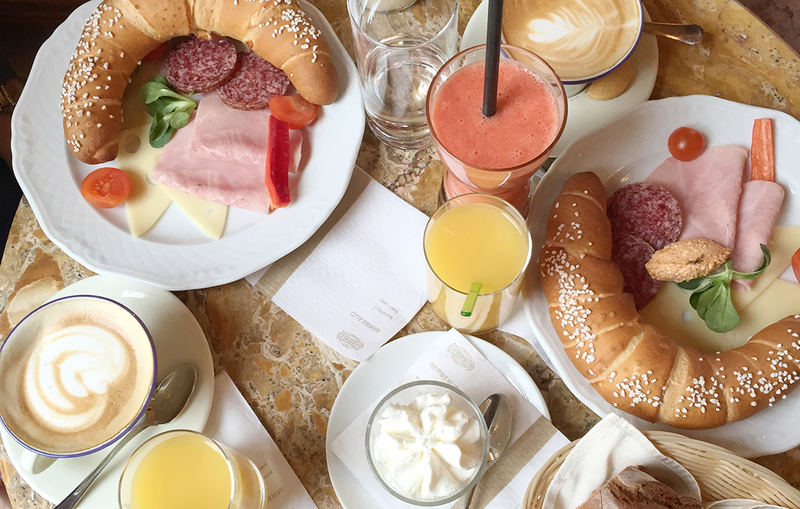 Start your day with breakfast at Cafe Gerbeaud, located at Vörösmarty Square. This is one of the oldest cafes in Budapest and they have T H E B E S T breakfast! My favourite is the Budapest breakfast (Hungarian kifli and charcuteries with juice and coffee) and the Basel breakfast (muezli with fruit, juice, and coffee). You can also come here for sweets, oh heavenly sweets, all kinds of sweets! From the famous Dobos torta to colourful macarons. This is THE place to indulge at when in you have 1 day Budapest! Not convinced? Check out 5 reasons to visit Cafe Gerbeaud in Budapest. At Cafe Gerbeaud, you’re just around the corner from St Stephen’s basilica (Szent István bazilika). You can climb the stairs inside, ending up at the top with a beautiful view over Budapest. But your 1 day in Budapest is about to get even better. 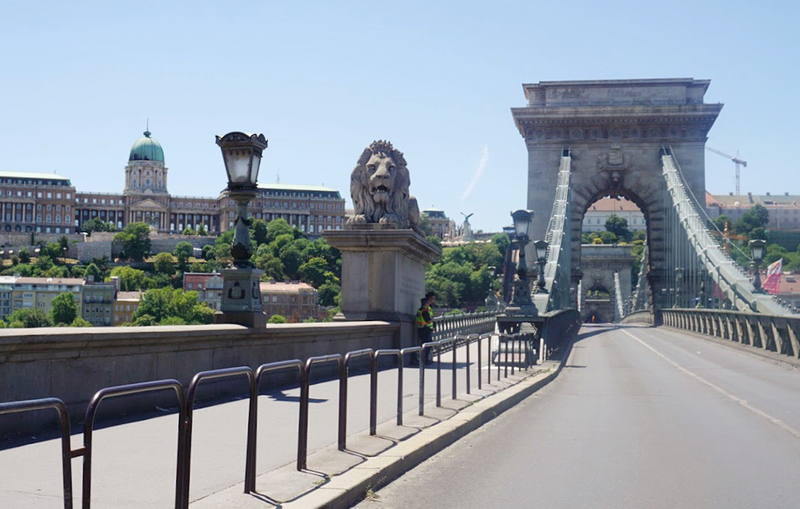 You’re within walking distance from your second sight – the chain bridge (Széchenyi lánchíd) that connects the Buda side of the city with the Pest side. 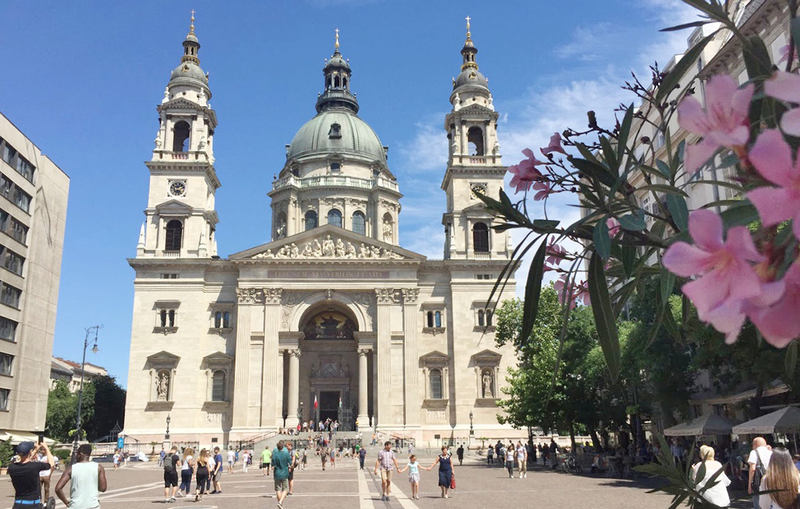 Take a stroll over the Danube to the Buda side and visit the Buda castle. 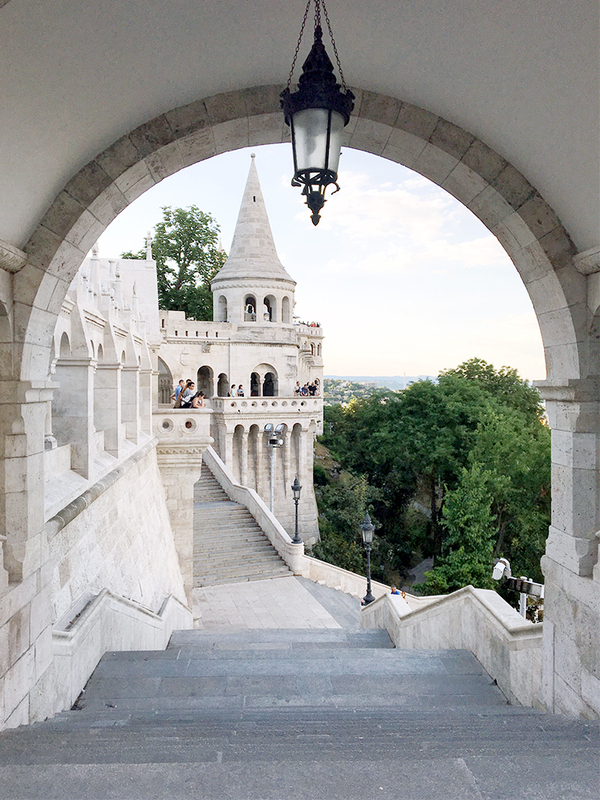 You should also visit the Fisherman’s bastion while you’re at the Buda castle. The Fisherman’s bastion was built on the grounds of the old walls of the Buda castle. The Fisherman’s bastion is named after the fishermen that used to guard this part of the city during medieval times. There’s a restaurant in the Fisherman’s bastion, have some typical Hungarian goulash soup here while you enjoy the beautiful view over the city. When you’ve seen the Buda castle and the surroundings, you can go back to the chain bridge and walk back to the Pest side. You’re not far away from the Hungarian Parliament, which is your next stop during your 1 day in Budapest. You can actually see the parliament building on your left side when walking over the chain bridge, away from the Buda Castle. Walk along the Danube bank after you cross the bridge. 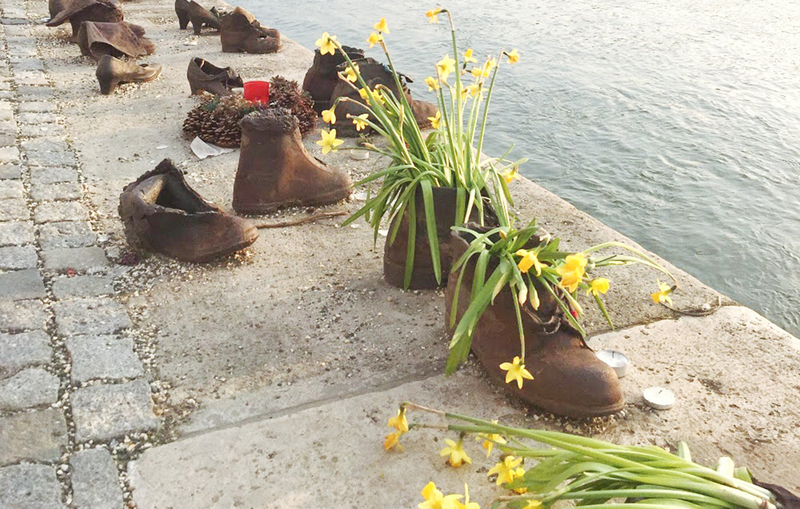 About 5 minutes before you reach the parliament building, you’ll see the monument “The shoes on the Danube bank”. The monument is created by director Can Togay and the sculptor Gyula Pauer to honor the Jewish people who were shot and killed by the fascist Arrow Cross in Budapest during World War II. They had to take their shoes off, were shot and fell in the river. The monument represents the shoes left. Do take a moment here before you continue to the parliament. 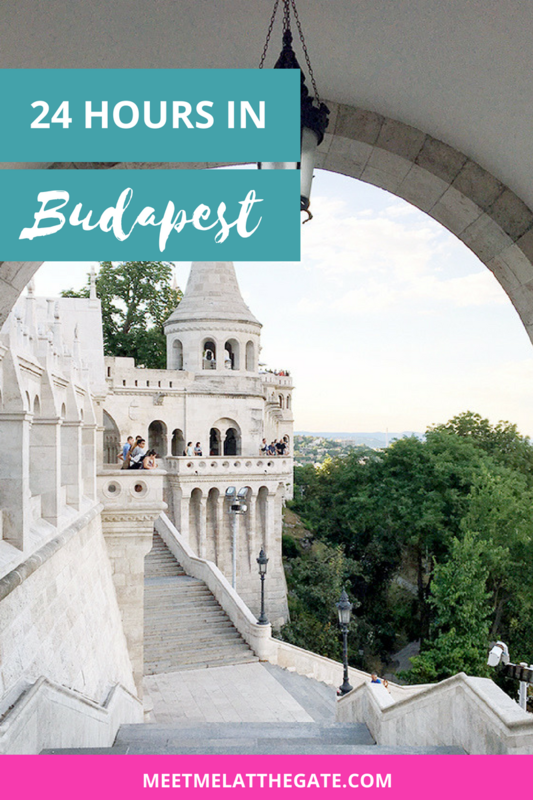 It’s a beautiful monument where people leave flowers in the shoes to honor the dead, and you have a pretty view over the Danube River, the Buda Castle and the Fisherman’s Bastion. You’re now close to the parliament, which means that you’re in Kossuth Lajos Square. 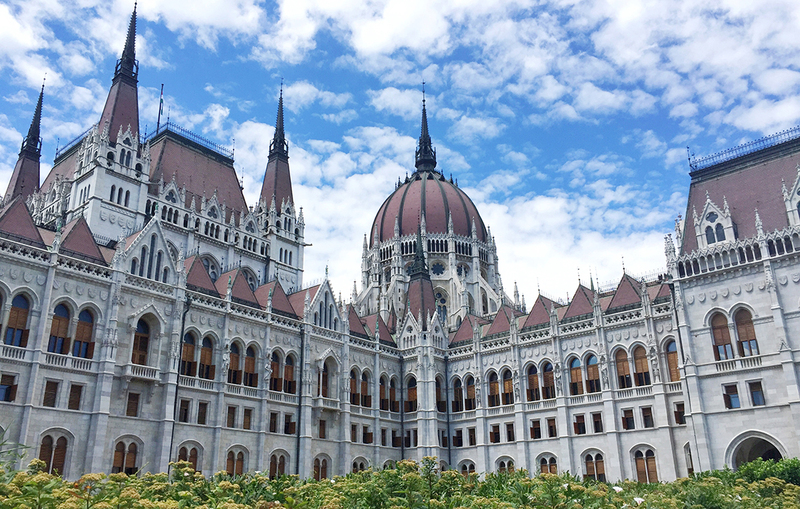 The Hungarian Parliament buildning is one of Europe’s oldest legislative buildnings. This is the tallest building in Budapest (not a skyscraper but just as pretty, if not prettier). 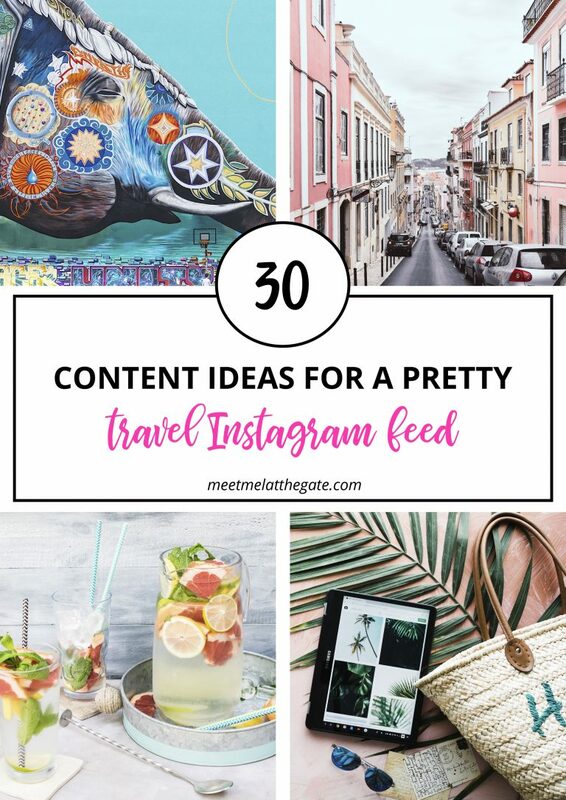 Go over and take some pictures for your Instagram. Make sure you see all sides of the parliament building. • The view from Gellért Hill, the Citadel and the Liberty Statue. 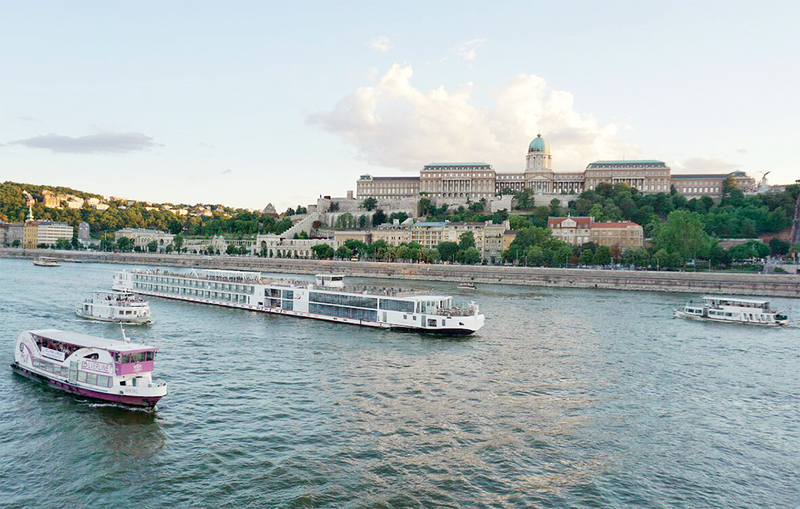 • A Danube river cruise. • Thermal bath at either the Széchenyi or Gellért bath. • Heroe’s square. A spectacular open place with large statues of great Hungarian leaders. • Shopping in Váci utca or one of the main shopping centers WestEnd, Árkád or Arena Plaza. • Visit the Great Market Hall, the oldest market in the city. Spoil your taste buds by munching on some Hungarian specialties. Can’t get enough of European capitals? How does Amsterdam sound? 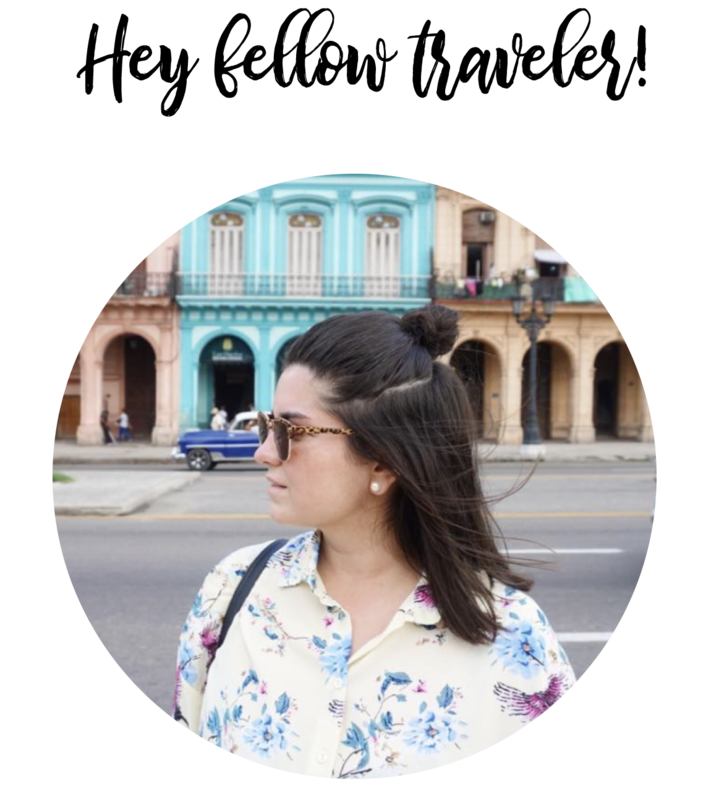 Head over to Backpack & Explore and read Sinjana’s 3 day itinerary for Amsterdam. Thanks for the guide, Melinda! I’m traveling to Budapest this week and can’t wait! Thanks for reading Cristina! Have a wonderful time in Budapest!